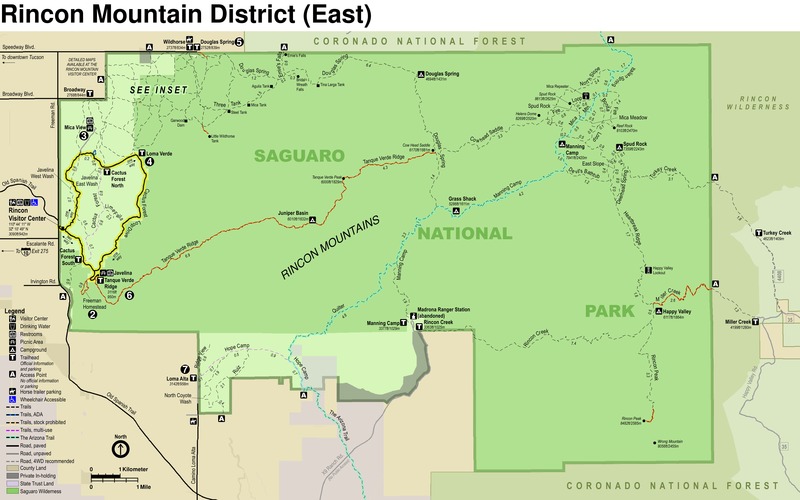 This trail is a short 0.9 miles and connects the Bajada Loop Road to the Hohokam Road, and the lower desert to the lower hills of the Tucson Mountains. 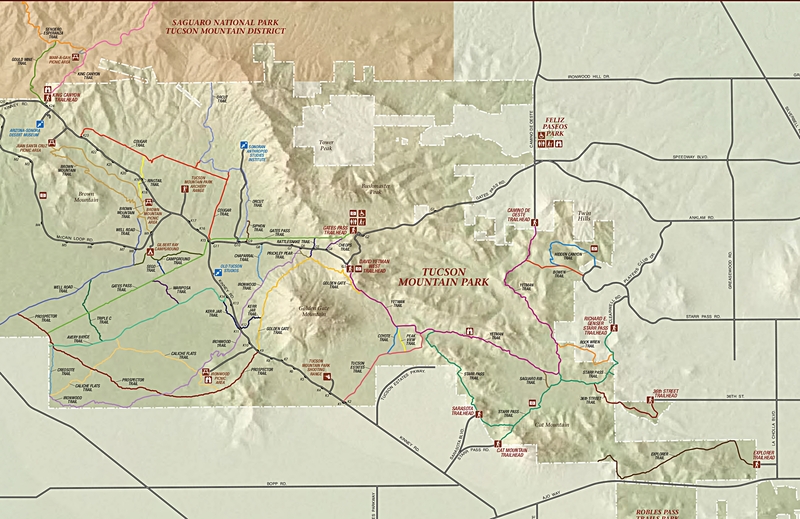 The trail head along the Bajada Loop Road is at the Valley View Trail Head or from Hohokam Road at the Signal Hill Picnic Area Road junction. This trail can be combined with the Valley View Overlook trail and can be done with younger children or combined with other trails to form a longer loop hike. 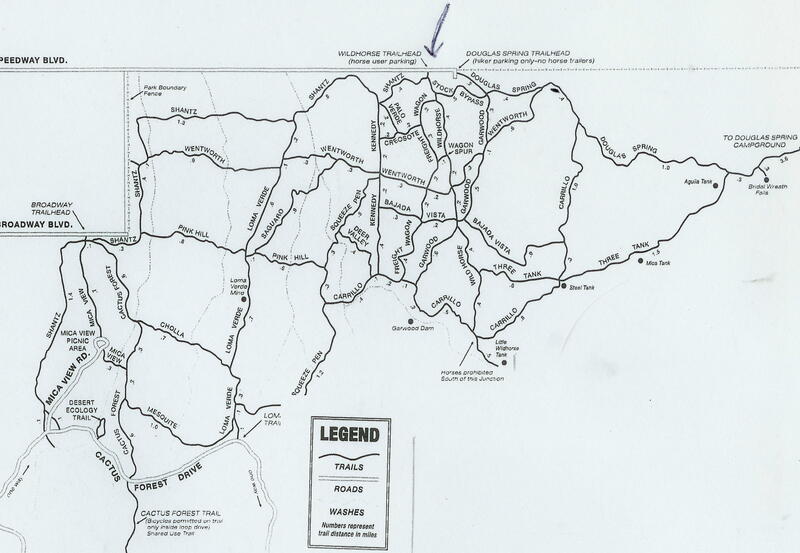 The trail heads at either end are along roads that do not open until sunrise and close at sunset. 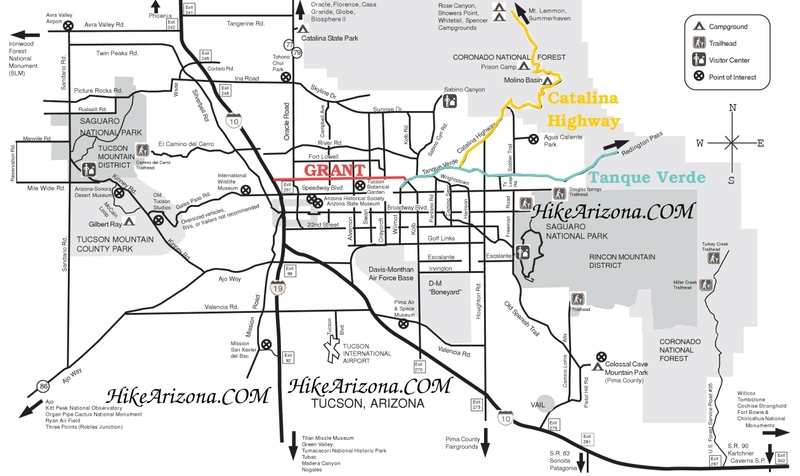 From the Hohokam Road trail head, the trail heads south with a very gradual climb in elevation. The trail crosses 4 small washes in the first 0.3 miles before climbing up to a ridge about 180 feet up. The trail never gets steep and is very well maintained and easy to follow. 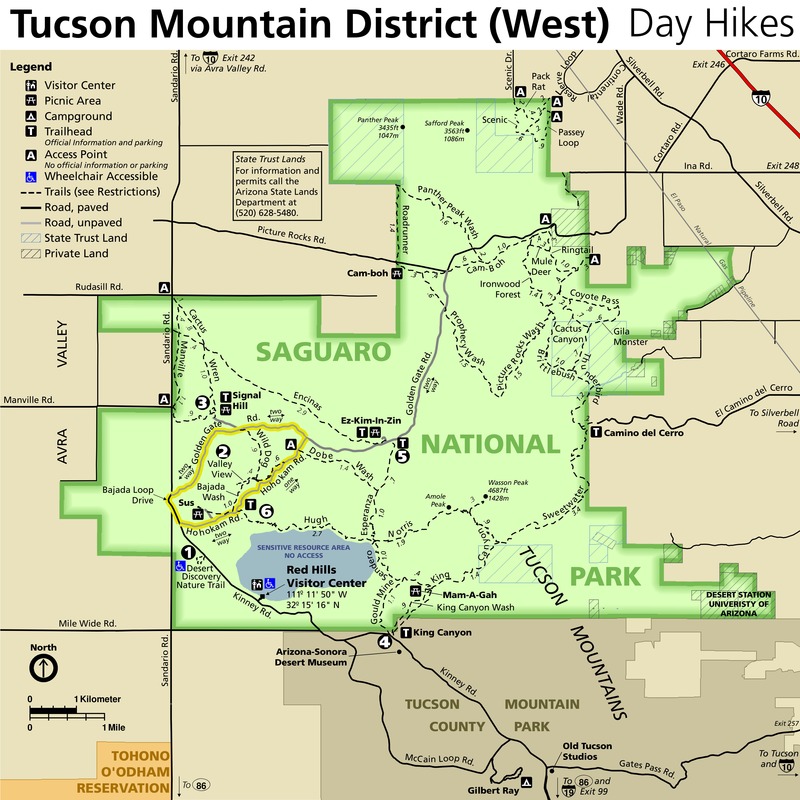 If you have been hiking along the desert floor to the north, the scenery changes as you start to climb into the lower Tucson Mountain hills and is a welcome change to the desert floor hiking. 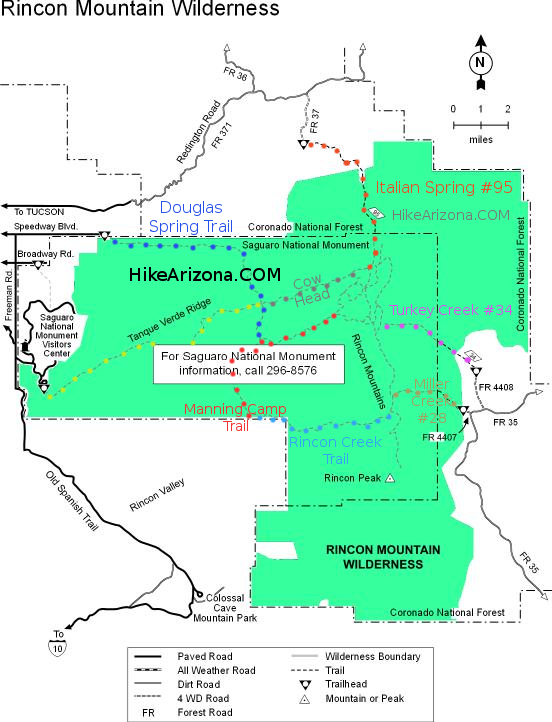 The views from this trail are limited because of the lack of any significant elevation gain but there are some views to the north of Panther peak and Twin Hills. At 0.7 miles the trail crosses a ridge and is the highest point on the trail. Once on the ridge there are numerous social trails heading up to the small peak just west of the trail, probably for a better view. From here the trail heads down hill for 0.2 miles and ends in Bajada Wash 0.1 miles from Bajada Loop Drive. 50 yards before Bajada Wash is the junction with the Valley View Overlook Trail. The overlook is 0.3 miles from this trail junction and the views from the overlook make this short side trip worth it. As is true with all the trails in Saguaro National Park, keep an eye on the trail for snakes, especially in the early morning and evening. If you are checking out the scenery as you walk it is best to keep that third eye on the trail. Tucson Arizona, Saguaro National Park West. Sanderio Road to Golden Gate Road, 1.5 miles to the Signal Hill Picnic ground road. Trail head is at the junction of Golden Gate and Signal Hill Roads. Golden Gate Road is closed at sunset and does not open until sunrise. Trail head from the other direction is along Hohokum Road 1.4 miles from the junction with Kinney road. Hohokum Road is one way past Sus Picnic Ground.